The final moment made everyone start crying. 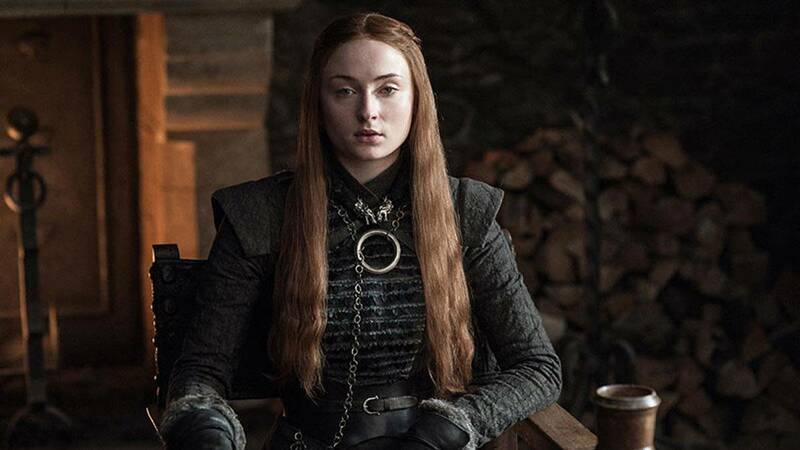 Game of Thrones isn't coming back into our lives until 2019 (which is just...ugh), but judging from Sophie Turner's description of the finale episode table read—which she says was a "shock to the system"—it'll be worth the wait. "At the end of the very last script, they read aloud, 'End of Game of Thrones,'" she told The Hollywood Reporter. "As soon as they read that out, pretty much everyone burst into tears. There was a standing ovation for [showrunners David Benioff and Dan Weiss]. We were all clapping and cheering. It was amazing." Turner continued, "We actually realized, reading that 'End of Game of Thrones' line, that that was it. When you're in it, you don't really see an endpoint. It's just an ongoing thing you're living with. It was a real shock. It was really sad, but there was an immense amount of pride, too." The fact that Turner was in the room for the finale table read implies that Sansa lives to the end of season eight—but only the cast and crew really know what we're in for. "All of us have always had discussions about theories about what we think is going to happen—who's going to die, who's going to end up ruling," she said. "Now, we know. It almost feels like another one of our theories. It doesn't even feel like it's what's actually happening. It's very satisfying."